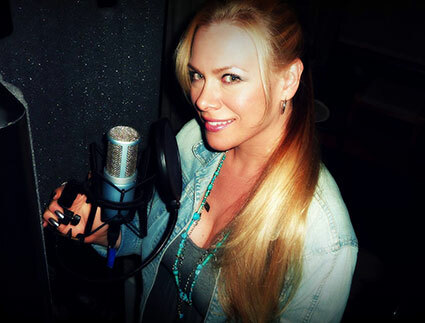 Frontiers Records nos presenta (con la nota de prensa que veis más abajo) un nuevo proyecto de la vocalista y compositora Amanda Somerville que lleva el nombre de "Trillium". El álbum se titulará "Alloy" y musicalmente "Trillium" será una combinación de Rock y Metal. En el equipo creativo del album se incluye a Sascha Paeth y Miro (Kamelot, Avantasia, Epica, After Forever, Angra, etc) en la producción, Sander Gommans (ex-After Forever) en la composición, y a Jorn Lande (Masterplan, Jorn/Lande) en un dueto con Amanda. Alloy será publicado a finales de este año. Frontiers Records is excited to present a new and interesting musical project called TRILLIUM which features the talents of the American singer and songwriter Amanda Somerville. Mostly known for her catalogue of projects, studio work, guest appearances and live shows garnered to date with bands like AVANTASIA, KAMELOT and EPICA, her most recent endeavors include touring with renowned artist Ian Gillan (DEEP PURPLE) and a duet album entitled Kiske-Somerville with metal legend Michael Kiske (HELLOWEEN). TRILLIUM is however something new, exciting and very diverse for Amanda, who describes it “more like an expedition with my musical family to explore and celebrate the metamorphosis I've gone through as an artist over the past several years. Quite simply, it's my new baby”. The TRILLIUM name came about since it “symbolizes a trinity because things are always showing up in 3s in my environment and there are a number of triads occurring in this project, as well” tells Amanda. “The name of the album, "Alloy," is symbolic and metaphorical. An alloy is a substance composed of two or more metals, or of a metal or metals combined with a nonmetal, intimately mixed. 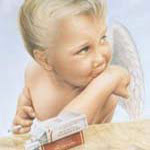 It also means standard; quality; fineness and is an admixture, as of good with evil. I'm a Pisces, so I'm all about duality and combining known elements - sometimes opposing each other - to create something different. Though I've been working myself further and further into the metal scene, I still always feel the need to add an extra element to make it shine, bling, stand out”. Musically TRILLIUM is going to be a hybrid of rock and metal: it's riffy, has a heavy hand instrumentally and is quite different from anything Amanda has worked on so far. The creative team on the album includes the acclaimed Sascha Paeth & Miro (KAMELOT, AVANTASIA, EPICA, AFTER FOREVER, ANGRA etc.) on production, songwriting and performances with the participation of Sander Gommans (ex After Forever) and also features Jorn Lande on a very special duet with Amanda. Amanda's sound is eclectic yet particular, sweet yet raw and commercial yet conventionally-challenged. Singer-songwriter metal with bling. Think Annie Lennox, Doro, Rob Zombie and Sade thrown into a blender and whipped into a frothy concoction. TRILLIUM debut album “Alloy” will be released worldwide on Frontiers Records in the fall 2011. Watch out for those razor blades. Prosit! TRILLIUM (Amanda Somerville) detalles de "Alloy"
Machine Gun; Coward; Purge; Utter Descension; Bow To the Ego; Mistaken; Scream It; Justifiable Casualty; Path of Least Resistance; Into The Dissonance; Slow It Down; Love Is An Illusion*. 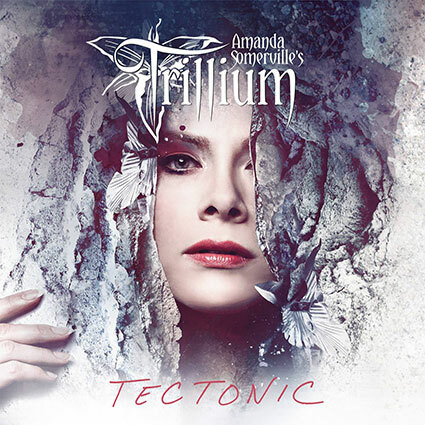 TRILLIUM (Amanda Somerville): nuevo disco "Tectonic"
Amanda Somerville lanzará un nuevo disco de Trillium titulado "Tectonic" el 8 de junio de 2018 a través de Frontiers Music. BREAKING NEWS: We are incredibly pleased to announce that Amanda Somerville will return with another Trillium album, TECTONIC on June 8, 2018! First single and pre-orders COMING SOON! TRILLIUM (Amanda Somerville): nuevo tema "Shards"